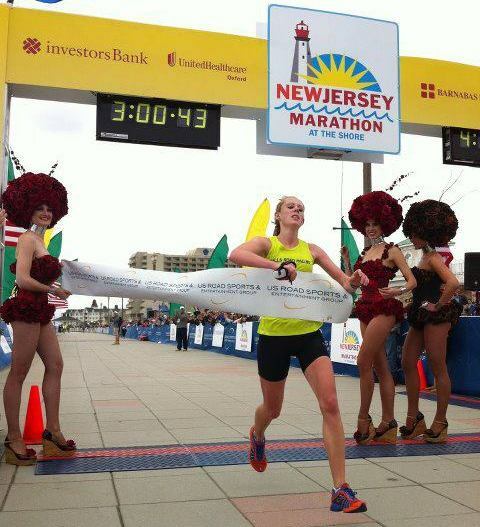 Megan won the New Jersey Marathon! New Jersey – the only one! I run for exercise / health / stress reduction and to make new friends! 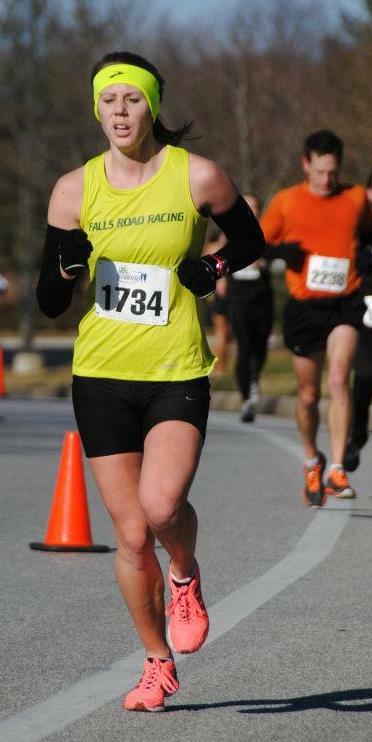 My first marathon was the 2012 New Jersey marathon. Pacer Pete went along for support and guidance. He provided me with advice and tips which helped me run a great marathon debut. I went to this race just with the goal of finishing. I ran most of the race with the 3:10 and then the 3:05 pace groups, which really helped. 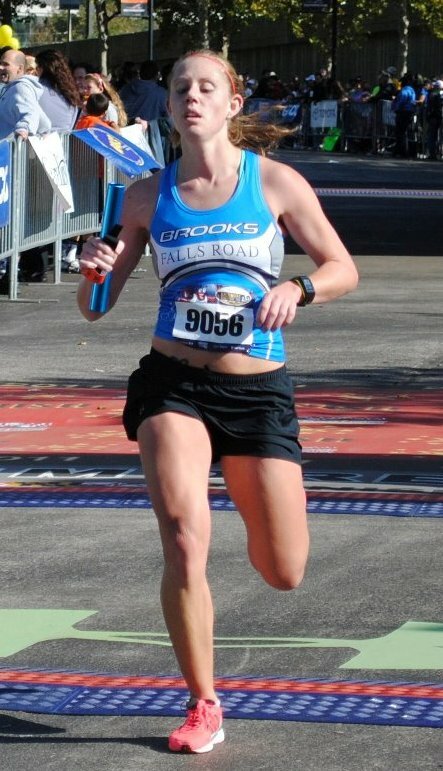 I broke away from the 3:05 pace group around mile 18 and had moved my way up to 2nd overall female. Mile 20 I felt great and picked up the pace. By mile 22 I saw the first place female and passed her by mile 23 and never looked back! I crossed the finish line winning the New Jersey Marathon and with a time of 2:59:48. I pace to encourage others to achieve their goals and to give back to the sport I grew up knowing and loving. Because I want to help you have a memorable running experience. Currently training for the NYC Marathon in the fall of 2012. I'd love to do al ultra-marathon but will stick to the shorter distances for now. I couch a Wednesday night “ladies only” track program for runners looking to advance to the next level.